Free feedings at 1:00PM, 5:00PM, 8:00PM and10:00PM are open to restaurant guests and visitors alike. 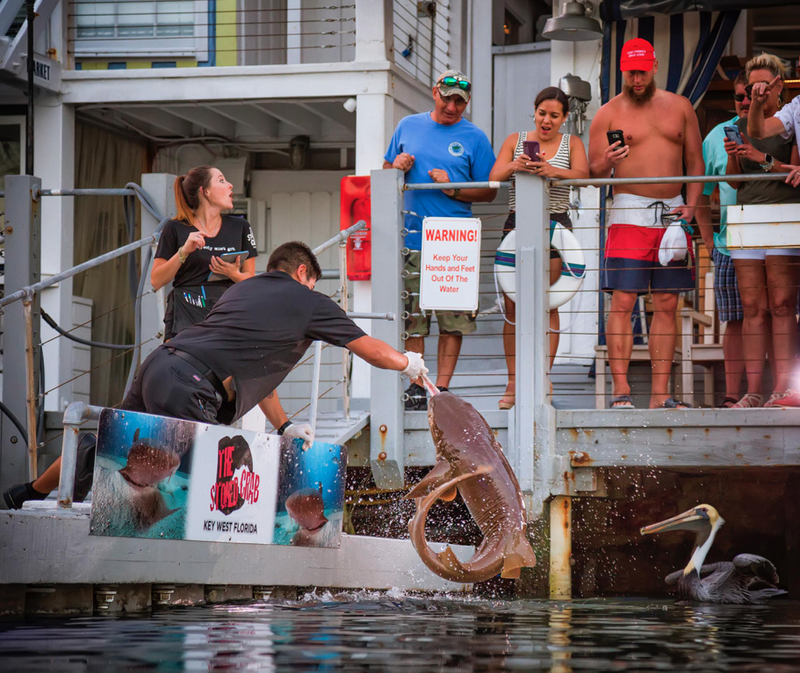 According to restaurant owner Chris Holland, the free shark feeding demonstrations are open to restaurant guests and the general public seven days a week, weather permitting, at 1:00PM, 5:00PM, 8:00PM and 10:00PM. The nurse sharks span the entire lifecycle from babies to adults. The current baby sharks are named Flip and Flop. The ‘teenage’ sharks are named Arial, Nemo, Sandy, Splash, Ibis, Fin and Pearl. The ‘parent’ sharks are named Doc, Neptune, Jupiter, Trident and Titanic — with Titanic being the biggest of them all at 6-feet or more in length and 250lbs or more in weight. 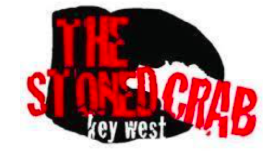 Click here to watch a video of The Stoned Crab’s shark feeding experience. Click here for hi-res photography.